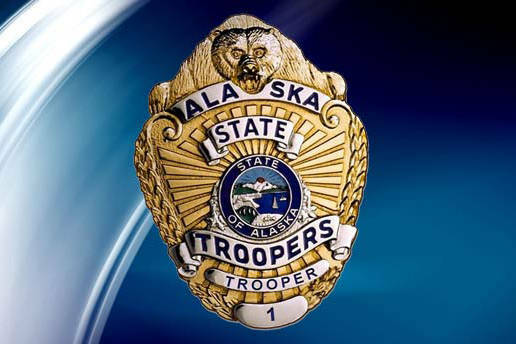 A Kenai man has been charged with theft after allegedly taking a snowmachine for a test drive and never returning it, according to an affidavit filed at the Kenai Courthouse by the Soldotna State Troopers. Jacob Barrett, 22, allegedly stole a 2013 Arctic Cat XF 800 snowmachine as well as a trailer on Jan. 30. According to the troopers affidavit, a man handling the sale of his father’s snowmachine was approached by Barrett, who expressed interest in purchasing the machine. The man told police that Barrett had requested to take the snowmachine for a test drive, got on the machine, and never returned. The man did not know the identity of the person who took the machine, but did have his phone number, which he gave to police. Police traced the phone number back to Barrett. On Jan. 31, troopers received information that Barrett had asked to borrow a friend’s snowmachine trailer a few days prior. The man told troopers that he had helped Barrett load a snowmachine into his truck on Jan. 30 — not aware at the time that the snowmachine was stolen — and dropped Barrett off at an apartment complex in Soldotna. Troopers subsequently located the trailer at the apartment complex. The snowmachine was recovered in Ninilchik on Jan. 31. Barrett was located at his home and arrested on Feb. 3. Barrett faces two charges of second-degree theft, a class C felony, and one charge of second-degree vehicle theft, a class A misdemeanor.